Infantino Animal Park Shape Sorter Just $6.30 (reg. $14.99)! 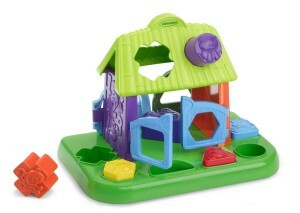 You are here: Home / Great Deals / Amazon Deals / Infantino Animal Park Shape Sorter Just $6.30 (reg. $14.99)! Head over to Amazon and get the Infantino Animal Park Shape Sorter for just $6.30 (Reg. $14.99)! Plus, Super Saver Shipping will be FREE with an order of $35 or more or get FREE 2-day shipping with Amazon Prime. We have a first birthday coming up for a little girl, and I think I’m going to grab this one!